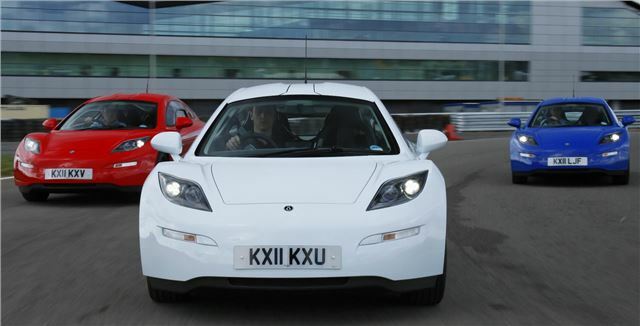 UK-based Delta Motorsport has launched a new 150mph electric sports car, capable of 0-60mph in less than five seconds. The car is powered by two Oxford YASA electric motors, producing over 600Nm of torque and over 120hp each, despite only weighing 23kg. The carbon-composite chassis is two-thirds lighter than an equivalent steel structure while affording the same safety and rigidity. Batteries are installed under the floor, giving a low centre of gravity. The Delta E-4 is estimated to have a range of around 200-miles on a full charge. Simon Dowson, one of the founders of Delta Motorsport, says: "We became involved with the design of hybrid and electric vehicles because they share many of the engineering challenges associated with motor sport – light weight parts, aerodynamic efficiency and innovative packaging solutions. “We’ve had to re-think road cars from the beginning, looking at low cost composite structures, system efficiencies and novel occupant packaging." The Delta E-4 will participate in the 2011 RAC Future Car Challenge on 5th November. There is no word on pricing or availability yet.